I’ve recently learned of an Endometriosis workshop taking place next Wednesday, February 24, 2016, in Beverly Hills. I reached out to Dr. Sonia Rebeles, who will be conducting the workshop and she graciously agreed to answer some of our questions. If you’re in the Beverly Hills area and available that evening to attend, I highly suggest you sit in. For more information on that upcoming workshop, please click here for their Facebook page. Don’t have Facebook? Don’t worry – more information can be found here. And, if you’re like me and can’t attend, Dr. Rebeles may be able to upload a Youtube video afterward. Please begin by telling myself and the readers a little bit about yourself. I’m 39 years old, originally from El Paso, Texas. Professionally speaking, I recently relocated to Los Angeles to start a new private practice in Beverly Hills. I did my undergraduate training at Stanford University and fell in love with California. Along multiple points throughout my career I’ve tried to venture back to the sunny state, but the timing was always off. Finally, early last year when I was contemplating a career move and revisiting my career goals, I was recruited by and offered a truly once in a lifetime opportunity to showcase my talent by the phenomenal people at K and B Surgical Center in Beverly Hills. I couldn’t pass up the opportunity to work alongside such a respectable group of physicians in such a prestigious region of the country. Personally speaking, I love staying physically active and fit. I am a Crossfit fiend, but I also enjoy cycling (road and mountain) and running on occasion, especially with my dog Bella. My passion for photography is almost as great as my love of surgery and healing patients. In both realms, I feel completely in my element. Not as far as I know. I suffer from the usual common female maladies like annoying periods and menstrual cramps and bloating, but I think that’s more PMS-related. I’m lucky that my symptoms have never been severe and on the rare occasion that they are, a couple of Advil do the trick. 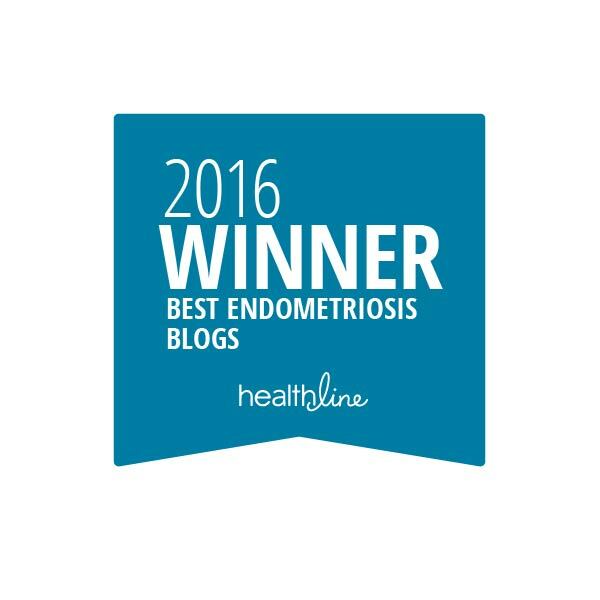 What got you interested in treating Endometriosis? In all honesty, I didn’t enjoy treating patients with endometriosis when I went through my residency training. Most of my senior attendings and colleagues taught me to treat endometriosis medically first and rule out all the other types of pathology that could cause pelvic pain, like irritable bowel syndrome or pelvic inflammatory disease, or bladder infections, etc., all of which tend to be more rare entities as a cause of pelvic pain than endometriosis itself! Surgery was always considered as a last resort, and it was always met with a sense of dread by physicians not comfortable dealing with it surgically. When I went through my minimally invasive gynecologic surgical fellowship in 2008-2009, my mentors were master surgeons in laparoscopy and robotics who taught me the satisfaction gained with a challenging case or in surgically tackling the difficult endometriosis case, which was typically a patient who had been sent from doctor to doctor without relief either because surgery was avoided or inadequately performed initially. For the first time in my career, I saw patients actually get better because they were treated with surgery correctly. I know that there are several surgical techniques to excise Endometriosis, and it appears you specialize in robotic surgery (yay!). Which method of excision do you prefer (fully removing the lesion and some healthy tissue around it; ablation; cauterization)? For me, I prefer excision, fully removing the lesion with either sharp dissection (small scissors used with the assistance of the robot), or electrocautery. Very rarely I will ablate lesions if they are in a particularly challenging area where dissection might incur damage to adjacent tissues. If I suspect involvement of bowel or bladder or other non-gynecologic organ, I will solicit the help of that particular surgeon. I prefer the robotic approach because of the enhanced visualization, 3-dimensional view and magnified vision. Identifying the many appearances of endometriosis is essential. Recovering from surgery can be a painful and scary experience. Do you offer and tips or tricks to your patients for their recovery? Not case-specific, but as a general rule of thumb? In general, patients should take about 1-2 weeks away from their usual activity and refrain from strenuous lifting or driving while taking pain medications. A general rule of thumb is if it still hurts, scale back. 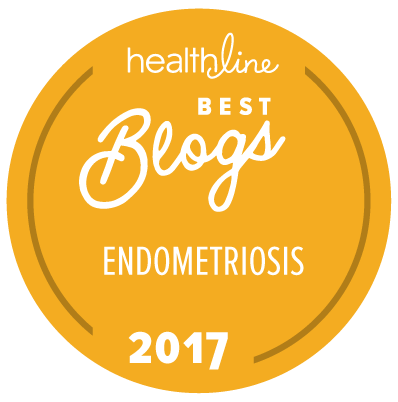 The challenge with endometriosis patients is that more times than not, the post-surgical pain is more bearable than their endometriosis-related pain, so much so that they feel amazing even immediately postoperatively. So, the tendency is for these patients to want to do more rather than allow their bodies to heal. There are so many theories regarding the cause of Endometriosis. Which theory(ies) do you believe may be the cause, if any? There are at least four predominant theories and evidence to support each. I believe it can be multifactorial. I’ll get into more detail on this during my seminar if this is of interest. Sure. In my opinion, the adoption of healthy living and eating habits will enhance overall wellness and promote healing, no matter the illness. Removal of endometriosis is the treatment for endometriosis. Hysterectomy (removal of the uterus) does not cure endometriosis. It may result in less pain when painful periods are the main symptom, but it does not cure endometriosis. Hopefully treatment will head towards more aggressive surgical management as a first step, preferably by highly skilled surgeons with expertise in minimally invasive approaches to treatment. Promoting awareness of the utility of surgical management amongst fellow physicians will hopefully minimize or eliminate the circuitous path too many patients with endometriosis are sent on. Your symptoms are real, your pain is real. You deserve to be heard and most importantly to feel better, so, do your research. If you have pain that you no longer want to live with physically or mentally, or pain that is disrupting your quality of life and your doctor hasn’t at least considered endometriosis or hasn’t referred you to a surgeon who treats it, then find another doctor. Also, find a highly skilled, board certified surgeon when you are ready to go the surgical route. Exactly what you are already doing – spread awareness. Follow and promote members of the medical community who give good, quality, evidence-based information and have the training and expertise to deal with complex issues like these. Dr. Rebeles currently accepts all PPO insurances, cash pay. (She is in the process of becoming an in-network provider with some PPOs and eventually Medicare, but this takes time). I would like to extend a personal thank you to Dr. Rebeles, not only for taking the time to respond to these questions, but for doing so with such fervor! It’s refreshing to find physicians and surgeons who understand so much about Endometriosis, and how best to treat it. And, as always, together we can do great things!